Earlier this week, headlines announced a new discovery that shows Jesus was married. Is there any basis for such a claim? Would it even matter if Jesus was married? Tim Chaffey, AiG–US, responds. Dr. Karen King holds the fragment, showing its small size. Without more of the context from the original document, it is highly unlikely that one can properly understand the initial message. Image by Rose Lincoln/Harvard Staff Photographer, via Harvard Gazette. 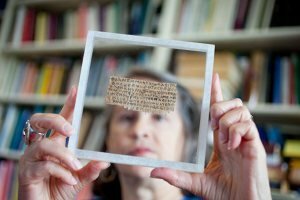 Dr. Karen L. King, a historian from Harvard Divinity School and member of the Jesus Seminar,3 recently had the opportunity to examine the smaller-than-business-card-sized fragment when an unnamed private collector asked her to study it to determine its authenticity. At this point, very little is known about the collector and the provenance of the artifact, other than the claim that the owner acquired the piece from a German owner in 1997. Close up shot of the 4 cm x 8 cm fragment. Eight lines of text are visible on the front (pictured), while only a few words can be translated from the back side (not pictured). Photo from and copyrighted by Karen L. King, via Harvard Gazette. Without the surrounding context or any other copies of this document, it is practically impossible to determine what this writing is really about. Of course, the fourth line of the front side is what triggered the headlines. According to this Coptic fragment, Jesus was apparently telling His disciples something about His wife. Does This Fragment Prove Jesus Was Married? Despite her admonition on this point, King added, “The earliest and most historically reliable Christian literature is utterly silent on the issue, making the question impossible to answer one way or the other.”5 In one sense, King is right because the Bible does not specifically say, “Jesus was not married.” However, there are numerous reasons to conclude that He was not married. First, the Bible never mentions Jesus as having a wife. We have four Gospels providing us with a wealth of biographical information about Jesus, along with several letters from those who knew Him best, and not a single one mentions anything about Him having a wife. On the Cross, Jesus commended His mother to the care of John ( John 19:25–27 ). If Mary Magdalene was His wife (as proposed by many who claim Jesus was married), why didn’t He provide for her care at this time since she was standing with Mary and John? If He was married to someone other than Mary Magdalene, then where was this woman during His ministry? Where was she during His Crucifixion? What about after He rose from the dead? Would she not have been among the 120 disciples in Jerusalem waiting for the coming of the Holy Spirit on the Day of Pentecost ( Acts 1:15–26 )? Surely someone would tell us about Jesus appearing to His wife. Why doesn’t she ever make an appearance in the Gospels or the remainder of the New Testament? The Bible never mentions Jesus as having a wife. In justifying the apostles’ right to have a wife, Paul wrote, “ Do we have no right to take along a believing wife, as do also the other apostles, the brothers of the Lord, and Cephas [Peter] ? ” ( 1 Corinthians 9:5 ). If Jesus was married, this certainly would have been a perfect time to mention it to provide infallible support for his argument. While someone may argue that these are simply arguments from silence, the silence here is deafening.6 If we knew very little about Jesus and those around Him, then perhaps someone could build a case that He was married. But since we know so much about His life and work, the burden of proof lies squarely with those who claim He was married. So in this case the silence of Scripture on this point is supportive of the orthodox Christian view of Jesus being single and never married. Second, Jesus knew that He had come to earth to die on the Cross. Not only was this prophesied centuries before His birth ( Isaiah 52:13–53:12 ; Daniel 9:26 ), but it was determined before He ever laid the foundation of the world ( 1 Peter 1:19–20 ). Jesus Himself predicted His arrest, death, burial and Resurrection numerous times, telling both His disciples and His enemies (e.g., Matthew 12:38–40; 16:21 ; Luke 18:31–33 ). As such, why would Jesus marry a woman and possibly have children with her, knowing full well that He would not be able to fulfill His obligations as a husband and father because of His impending death? Fourth, while marriage in and of itself is not wrong—it was instituted by God in the beginning as a “ very good ” human relationship ( Genesis 1:26–31 )—the notion that Jesus, the Son of God, could have married raises numerous theological concerns. The Bible teaches that in marriage, husband and wife become “ one flesh ” ( Genesis 2:24 ). So if Jesus, who knew no sin, married a sinful woman, would not He and His wife become one flesh as well? Think of some possible implications of such a scenario. By becoming “one flesh” with a sinner, would Jesus become tainted by sin? What type of nature would children from this union have? Jesus was sinless and had both a divine and human nature, yet His supposed wife would have had a sinful nature. 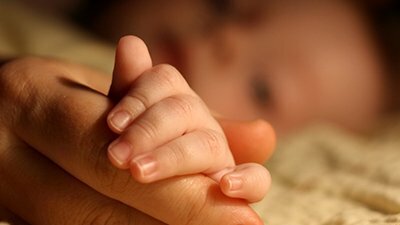 So would children of such a union be born without sin or with sin? As physical children of the Son of God, what type of relationship would they have to God the Father? The whole idea of Jesus being married introduces a vast array of confused theology. Fifth, the Bible does speak of the bride of Christ, but not in the sense of normal human relationships. Many Christians believe the church is the bride of Christ, citing Ephesians 5:23–32 , where Paul uses Christ’s care of the church as an analogy for the way a husband needs to treat his wife. The Bible states that the New Jerusalem is the bride of Christ—the Apostle John was told by an angel that he would be shown the bride, “ the Lamb’s wife ” ( Revelation 21:9 ). In the next several verses, John was shown and describes the New Jerusalem, “ the great city, the holy Jerusalem, descending out of heaven from God ” (v. 10). Perhaps both passages are simply using analogies to make a theological point or describe a future reality. Whatever one thinks on this subject, the bride of Christ spoken about in the New Testament does not refer to a literal woman and a typical husband-wife relationship. 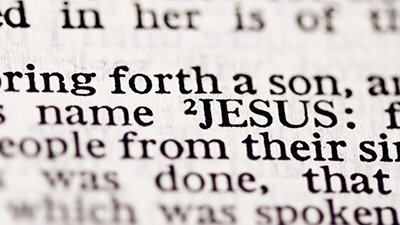 Assuming the fragment is actually from a fourth-century document, an idea that is hotly disputed,11 there is still no reason to believe that Jesus was married. It would have been written 300 years after the New Testament was composed—much of which was penned by eyewitnesses to the events they described—and despite what Dan Brown and others claim, there was no fame, fortune, or power to be had by the early Christian leaders promoting their own religious views as infallible truth, because they regularly faced persecution, torture, or death (and no one would die for what he knows to be false). 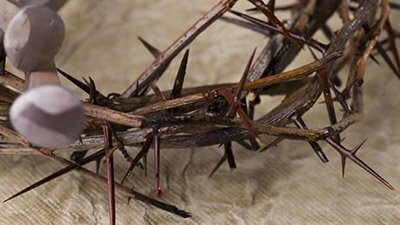 Nevertheless, many critics and skeptics will use this fragment to cast doubt on the accuracy of the biblical text and the authenticity of our knowledge about Jesus. The fact that they must resort to such a small and ambiguous fragment of unknown date or authorship shows just how baseless (and unscholarly) their unbelief is. The way in which many in the media have already covered this story and the way it will almost certainly be used by skeptics in the future illustrate the fact that many people are desperate to escape the fact that God’s Word is true. Deep down they know they are sinful and they are eager to discount the Word of God so that they can convince themselves that they don’t have to face God someday as their holy Judge. Yet the Bible is true from beginning to end. It is the inspired, inerrant, and infallible Word of the Creator, and we can have absolute confidence in its teachings. And while it is technically silent on the issue of Jesus having a wife during His earthly life, the Bible does not give us any reason to think He was married, and it gives us numerous reasons to conclude that He was not married. The Warden at Tyndale House, Cambridge, Dr. Peter Williams wrote, “Coptic is Egyptian written in the Greek alphabet with a few extra letters. Because Coptic was only emerging as a written language in the third century and papyrus went out of use in the seventh century the 8 cm x 4 cm fragment has to be dated some time from the third to the seventh century and the scholars involved with this fragment have stated that it is fourth century on the basis of the handwriting.” Peter Williams, “Did Jesus Have a Wife?,” Tyndale House, http://www.tyndale.cam.ac.uk/index.php?page=DidJesusHaveaWife. 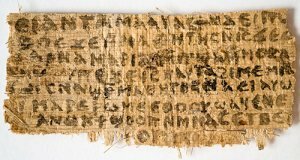 In his article, “The Unbelievable Tale of Jesus’s Wife,” Ariel Sabar details his remarkable investigation to uncover the provenance of the papyrus fragment. His research uncovered a string of misleading and false claims made by Walter Fritz, the man who delivered the fragment to Dr. King. Sabar’s journalistic endeavor took him to Florida and Germany to learn more about Fritz’s curious past. Along with other factors, the fact that Fritz studied Coptic (the language appearing on the fragment) at the Free University of Berlin Egyptology Institute, combined with his desire to elevate the Gnostic “gospels” above the canonical gospels make it all but certain that Fritz forged the infamous papyrus. The Jesus Seminar refers to a group of more than 70 liberal Catholics and Protestants, Jews, and atheists who gathered regularly in an effort to determine whether they believed the words and actions attributed to Jesus in the four canonical Gospels (Matthew, Mark, Luke, John) and the non-canonical Gnostic Gospel of Thomas were authentic. After listening to a series of presentations, these people used colored beads to vote on whether or not the sayings could rightly be attributed to Jesus. The results of the votes were not at all surprising, given the presuppositions of the attendees. For example, they concluded that only one statement in John could possibly have originated with Jesus ( John 4:44 ) while the Gospel of Thomas received the highest percentage of positive votes at over 20 percent. King wrote, “Does this fragment constitute evidence that Jesus was married? In our opinion, the late date of the Coptic papyrus (c. fourth century), and even of the possible date of composition in the second half of the second century, argues against its value as evidence for the life of the historical Jesus.” Karen L. King, “Jesus Said to Them, ‘My wife. . .’,” Harvard Theological Review 107, no. 2 (2014): 131–159, https://s3.amazonaws.com/hds-high-traffic-assets/Jesus-said-to-them-FINAL.pdf. Dan Brown, author of The Da Vinci Code, and others have proposed a reason why the Bible is silent on Jesus having a wife. They claim that the early church was dominated by men who sought to keep control of the church away from women, so they expunged any books or passages that hinted at women in leadership roles. This topic is too large to cover in this paper, but it is sufficient to state that these claims are vastly overstated and have virtually no support. 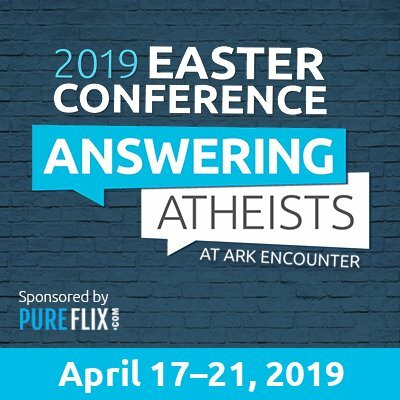 For more details on this subject, see Tim Chaffey, “How Should Christians View the Fact Claims of The Da Vinci Code?” in Ken Ham and Bodie Hodge, gen. eds., How Do We Know the Bible Is True? Volume 1 (Green Forest, AR: Master Books, 2011). Clement of Alexandria, The Stromata, III.6.49. Alan Boyle, “Reality check on Jesus and his ‘wife’,” NBC News, September 18, 2012, http://cosmiclog.nbcnews.com/_news/2012/09/18/13945001-reality-check-on-jesus-and-his-wife. Darrell L. Bock, “Quick Thoughts on the New Jesus Wife Text,” Bock’s Blog (blog), September 18, 2012, http://blogs.bible.org/bock/darrell_l._bock/quick_thoughts_on_the_new_jesus_wife_text. Update: On September 26, 2012 (one week after initial news reports of the fragment), New Testament scholar Daniel Wallace wrote, “‘News flash: Harvard Theological Review has decided not to publish Karen King’s paper on the Coptic papyrus fragment on the grounds that the fragment is probably a fake.’ This [is] from an email Dr. Craig Evans, the Payzant Distinguished Professor of New Testament at Acadia University and Divinity College, sent to me earlier today. He said that Helmut Koester (Harvard University), Bentley Layton (Yale University), Stephen Emmel (University of Münster), and Gesine Robinson (Claremont Graduate School)–all first-rate scholars in Coptic studies–have weighed in and have found the fragment wanting. No doubt Francis Watson’s comprehensive work showing the fragment’s dependence on the Gospel of Thomas was a contributing factor for this judgment, as well as the rather odd look of the Coptic that already raised several questions as to its authenticity.” Daniel B. Wallace, “Jesus’ Wife Fragment Judged a Fake,” DanielBWallace.com, September 26, 2012, http://danielbwallace.com/2012/09/26/jesus-wife-fragment-judged-a-fake/. The Harvard Theological Review denied that King’s research paper had been rejected. Harvard Divinity School spokesman Jonathan Beasley stated that the Harvard Theological Review is still planning to publish King’s paper “if testing of the ink and other aspects of the fragment are completed in time.” “Harvard Theological Review: Gospel of Jesus’ Wife NOT Rejected,” September 26, 2012, http://www.religionnews.com/faith/beliefs/harvard-theological-review-gospel-of-jesus-wife-not-rejected. Whether King’s work will be published remains to be seen. Nevertheless, King’s article mentioned that two of the paper’s three reviewers questioned the fragment’s authenticity, and the list of Coptic scholars mentioned above who have rejected the fragment provides added support to the idea that the fragment is a fake. On May 1, 2014, the Wall Street Journal reported the findings of researcher Christian Askeland and others who have built a very strong case against the authenticity of the fragment. Consider four of the arguments presented by Askeland, et al. First, the anonymous source of the fragment also gave Harvard scholars a second fragment written by the same hand, and this document is almost certainly a forgery. Second, the fragment was written in a dialect that did not exist at the time it was supposedly penned. Third, the words “my wife” were written in bolder letters than the rest of the document, as if the author wanted to stress these words. In fact, in another article in the Harvard Theological Review, Leo Depuydt stated he has never seen bold used in any Coptic text. This tell-tale sign of fraud leads to a fourth argument: in the field of textual criticism, when a new find conveniently addresses a modern theological debate, then it is in all likelihood “too good to be true.” In this case, the fragment would lend support to egalitarian positions on the role of women in the church as well as the modern unbiblical push to identify Mary Magdalene as the wife of Jesus.